Banana Chocolate Chip Cookies — Pip and Ebby - easy, delicious recipes! 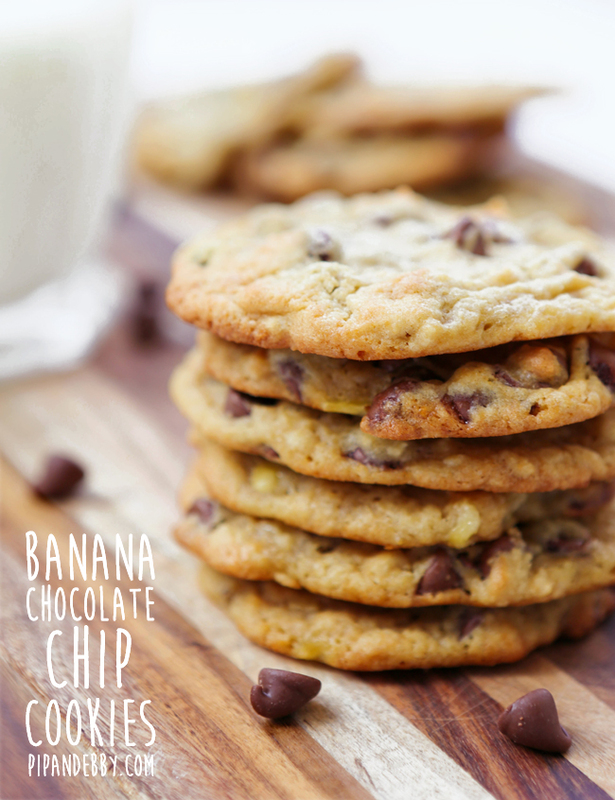 Adding bananas to Chocolate Chip Cookies is a great way to use up ripe bananas! These cookies are super moist and delicious! Is there anyone in the universe who enjoys packing? It's ironic that it is such a detestable chore for most people since the event that follows packing is vacation. Tomorrow we are setting out on our last summer adventure. We will spend nearly a week with family, most of whom we only get to see once a year. We leave in the morning, and guess what?! I have not started packing! The laundry is folded and ready to be put into suitcases. Does that count for anything? Will somebody please come pack for me? I'll trade you for a stack of these Banana Chocolate Chip Cookies. They would totally be worth it. My four-year-old sunk his teeth into one of these babies and said, "Whoa, Mom. This is the best cookie I have ever had." I have to agree. They are really good. And they are a great, quick way to use up ripe bananas as are these delicious Banana Bars and this Cream Cheese Chocolate Chip Banana Bread and these Peanut Butter Banana Cookies! Throw a few dry ingredients together in a medium bowl. And the ooey, gooey, sugary ones in another. Mix until creamy and slowly add the dry ingredients until combined. Add a ripe banana, mash it up and stir it all together. Drop by spoonfuls onto parchment-lined baking sheets and bake! Ten to twelve minutes should do it. This recipe yields about 24 cookies. Have a great week! Uhh, nobody is knocking at my door yet, so I suppose I'll eat the cookies myself. And then pack. This is the perfect, yummiest way to use up ripe bananas! 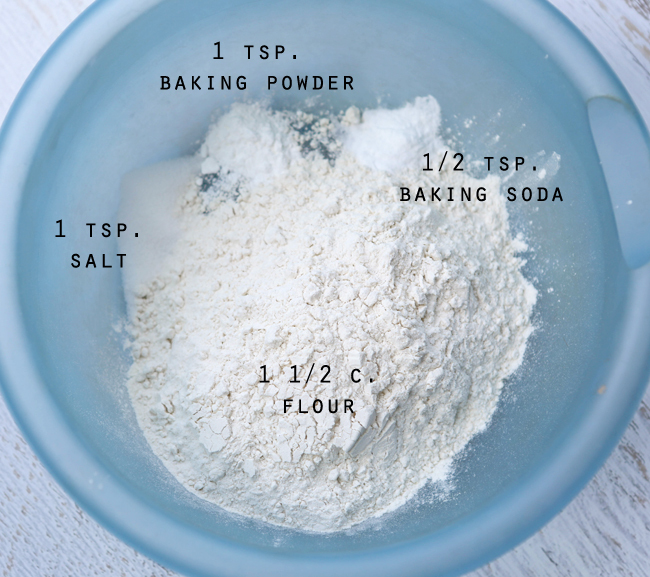 In a medium bowl, combine the flour, baking soda, baking powder and salt. Mix well and set aside. In another medium bowl, combine the butter, shortening, brown and white sugars, egg and vanilla. Using an electric mixer, beat on medium speed until creamy. Gradually add the flour mixture until combined. Add the banana and chocolate chips and mix until combined. Place rounded spoonfuls of the batter onto the prepared baking sheets. Bake in the preheated oven for 10-12 minutes, or until the edges are lightly browned. Let cool before transferring to serving platter.